Our news roundup, courtesy of our friends at TechRadar, is dominated by Samsung today – find out what's happening with the Galaxy Note 9, the foldable Galaxy X (or Galaxy F), and why the OLED displays of 2019 will survive any kind of drop tests you put them through. 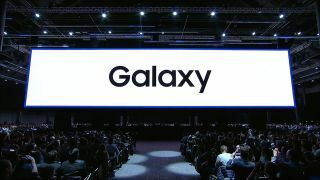 If you're always letting your phone slip from your fingers and having to face an expensive repair bill as a result, Samsung has some news for you: its latest OLED display panels are officially "unbreakable", according to the company, and that's based on military testing procedures. Look out for the super-tough screens to start arriving in phones next year. Netflix is getting a minor visual revamp with a refresh of the icons for its user accounts – the accounts that mean all the kids' binge-watching doesn't interfere with your own movie and TV recommendations. The updated icons are going to look a lot more polished, Netflix says, and new ones are going to feature characters from some well-known Netflix shows. Hang on just a moment, because the foldable Samsung smartphone we've been hearing so much about might actually be called the Galaxy F rather than the Galaxy X, according to a source with a decent track record. Instead, the Galaxy X could be the gaming-focused phone Samsung is working on. Look out for these phones to launch sometime in 2019. Pay attention if you've got a Wear OS smartwatch – because Google Pay is getting an upgrade that'll make it much faster if you use it from your wrist. The update is rolling out now, which means you'll no longer have to hold up the queue at the store while you fiddle with your wearable – head to the Google Play Store if you want to update manually. Finally in a Samsung-dominated day of tech news, there's a new report that the Galaxy Note 9 is going to be available to buy earlier than we reckoned: in fact it's going to be on sale almost immediately after it's announced on the 9th of August, according to sources, leaving you with even less time to save up the necessary cash to make it your next phone.